If you haven't yet heard about the internet sensation #whatshouldwecallme, you're about to get yourself a few good laughs. Using GIFs from popular television shows, Youtube videos, and movies, #whatshouldwecallme describes the situation that matches with the GIF -- and somehow, it's hilarious because it's true. Started by two law students from across the country a few months ago, it's already a huge hit. Here are a few of our favorites! 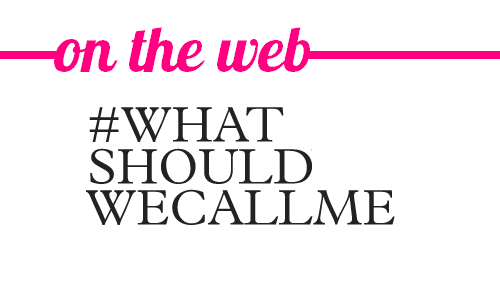 For more, check out #whatshouldwecallme.